When making the switch to a plant based diet, changing to almond milk is the simplest start. It is easy to make (the shop bought versions can be heavily processed and contain lots of additives), creamy, delicious and very versatile. I use it in my morning smoothie, spicy homademade hot chocolate and chai, to make soups thick and creamy, and in lots of healthy baking. 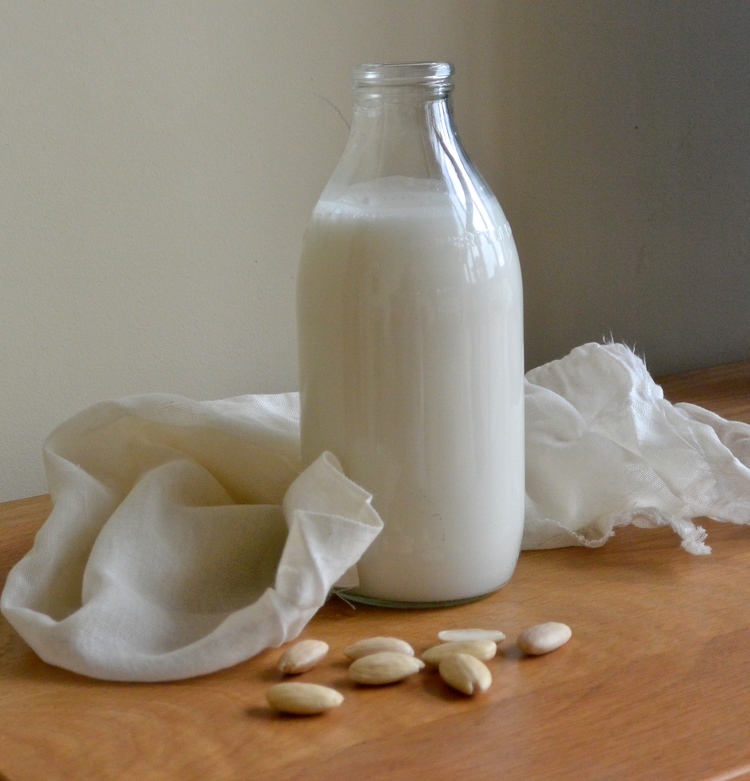 Almond milk has loads of awesome health benefits as well as being delicious - its packed with lots of calcium for strong and healthy bones and vitamin E to keep your skin soft and glowing, plus its easily digested since it doesn't contain lactose and great for your heart thanks to no cholesterol or saturated fat. Soak the almonds in water overnight. In the morning, drain and rinse the nuts, then blend them with the 6 cups of water for a few minutes - at this point you could add a teaspoon of cinnamon to flavour your milk, or some honey or dates to sweeten it. 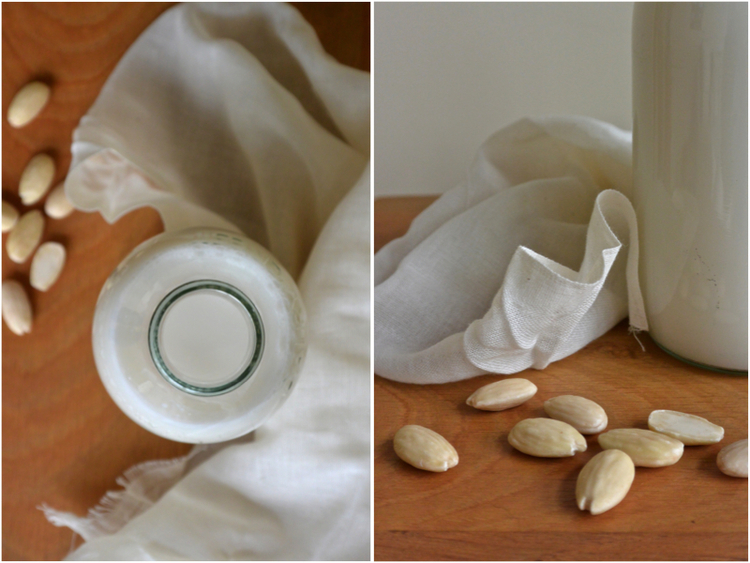 Use a nut milk bag or a piece of muslin to drain the liquid from the pulp, store the milk in a jug in the fridge. Leave the almond pulp to dry and use in baking or to bulk out falafel or veggie burgers.